SSouth African Tourism will be hosting the “Learn SA Roadshow” for the first time in Istanbul, Turkey, in a bid to increase the knowledge of the trade in Turkey and to create platforms for trade from South Africa to get access to the Turkish market. The roadshow will provide 11 South African trade partners which includes SMMEs, tour operators, accommodation establishments and experience an opportunity to engage with approximately 50 specially selected Middle East and Turkish travel trade companies. SA Tourism will also use the platform to create awareness and increase the knowledge of the Turkish trade about South Africa so that they can better sell the destination. Taking place on 30 January 2019, the roadshow precedes the 23rd East Mediterranean International Tourism & Travel (EMITT) exhibition which will see a strong SA Tourism presence and trade partner participation. EMITT will be held at the Tüyap Fair Convention and Congress Centre in Istanbul between 31 January and 3 February 2019. Turkey is a strategically important market to SA Tourism as it is a springboard to the rest of the Middle East, India, and South East Asia (MEISEA) region. Turkey is a recent addition to the MEISEA portfolio. According to Sthembiso Dlamini, SA Tourism’s Chief Operating Officer, there are many factors that make South Africa an attractive destination for Turkish visitors. “There are no Visa requirements for travellers from both ends, and for Turkish tourists there is favourable airlift,” Dlamini commented. “This has led to 12 139 Turkish tourist arrivals between January and October 2018, a 2.4% increase from the previous year,” added Dlamini. Why EMITT is important to SA Tourism? “SA Tourism’s involvement in EMITT is to create a platform and give our trade partners the opportunity to market themselves in a growing market and engage with tour operators, travel agents and buyers who will be in attendance, explained SA Tourism’s MEISEA Hub Head, Neliswa Nkani. It is one of the top four tourism exhibitions worldwide, attracting 54 000 industry professionals and tourists. EMITT expects 450 buyers from 80 countries to attend this year’s event. “SA Tourism’s second appearance at EMITT will go a long way to help South Africa achieve its five-in-five goal of adding 4-million more international tourists and 1-million more local travellers to its current numbers by 2021,” concluded Nkani. Insights reflect that Turkish families visit South Africa for the culture, scenic beauty, beaches and safaris. Young tourists tend to visit South Africa for the action and adventure tours. Halaal tourism is also a factor when it comes to Turkish visitors deciding on travelling to South Africa. Since most Turkish travellers are Muslim, South Africa is perfectly positioned to cater to the needs of the Muslim traveller which includes a wide array of halaal restaurants and eateries on across all nine provinces. South Africa has been ranked one of the top 10 most Muslim-friendly travel destinations for 2018 by the Organisation of Islamic Cooperation in the annual MasterCard-Crescent Rating Global Muslim Travel Index. 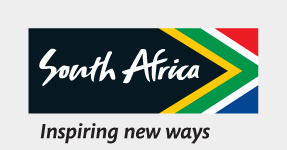 “Learn SA” is a platform aimed at increasing destination knowledge and equipping the travel trade with the skills to better sell South Africa as a tourist destination.